While there are a variety of online sites offering great prices on travel, you may not be getting the best deal when you use them. This is particularly true of luxury travel. In cases where you want the very best, a luxury travel advisor can go a long way toward making your trip a great and memorable one. Jason Hartman recommends seeking professional advice in both real estate and travel. First, luxury travel advisors are often partners with fancy hotels. This means they have access to special pricing and unadvertised upgrades. If two guests have booked the same room, the free upgrade will go to the one with an affiliated travel advisor upon check in. There are also upgrades available at the time of booking, something only a luxury travel advisor will know. These benefits are only available through travel advisors, so they’re often worth it. 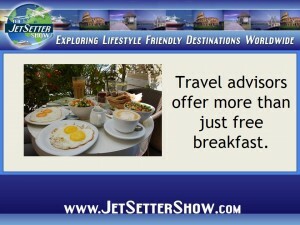 Luxury travel advisors may also be able to get you an awesome breakfast (and who doesn’t love that!?). Long gone are the days of the continental breakfast—think in room dining with fancy and delicious choices. And it doesn’t stop at breakfast! Luxury advisors are privy to relationships with hotels that offer complimentary lunches, dinners, massages, or credits to be spent at the spa! 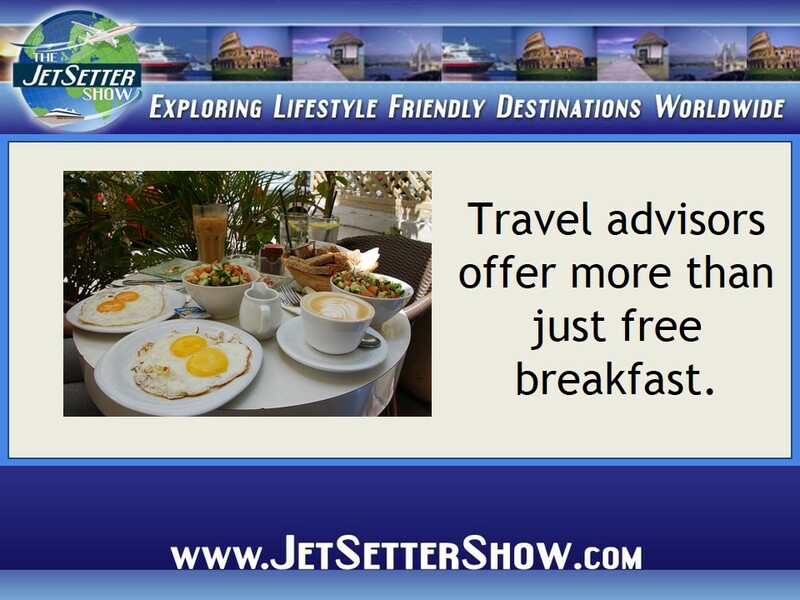 In addition to awesome freebies, travel advisors have a lot of valuable experience and advice to offer. Often, they’ve done a lot of travel themselves, and have unique information on things like places to eat and particular hotels and destinations to fit your style. Instead of doing this research yourself, let a travel advisor do it and save some time. Ultimately, you’ll have a more enjoyable, specifically tailored vacation. It takes the guesswork out of online reviews and guarantees you the best of the best. A travel advisor can also be of great assistance with flights. If you’re going a long distance, flying first class will certainly be worth it, and your advisor may even be able to get you extra frequent flyer miles. Finally, a luxury travel advisor can help solve any problems that arise while you’re vacationing. They’ll work with the hotel to resolve problems and ensure a great trip for you.